On the Indianapolis Cultural Trail. Sorry, I don’t have time to use the car to get there. That’d take too long — I’d better bike instead. No, I don’t mean “biking saves you money and time is money.” I mean biking actually saves you time. No, I don’t just mean during rush hour. Sure, everybody knows that in a city during rush hour, bicyclesusually travel faster than cars. No, I mean biking is always more time-efficient than driving. In fact, a study released last year found that riding a bicycle transports you from place to placeinstantaneously. As in, it takes no time at all. At this time of the year, there is a lot of pressure to come up with a “new you” for the new year. There is a tradition for many people of making a resolution to change our actions in January, but very few of these make it into February. We do the things we do because we value them in some way. To find out what are the important things in your life mark on a calendar everything you do in a typical month. Then write down what you spend your money on. That is the map of your values. We all have 168 hours every week. Knock out 100 hours for work and sleep and you still have 68 hours every week that is yours to spend or invest, to waste or do something fruitful with. People say, “I should pray more” or “I need to go to church more often” but they don’t do it because they don’t really value what they are saying they need to do. To change your life you have to change your values and priorities, because you will do what you value. Want to pray more? Read books about prayer until you love praying and can’t get enough. Then set aside a time every day and just do it. Want to get fit? Find some activity that you really enjoy and you won’t have to worry about a fitness plan. I’ve tried a few things, but riding my push bike is the best exercise ever- if I miss a couple of days, my body and brain just miss it. Need to go to church more? Well what stops you? Is it because you feel entitled to the Sunday morning sleep in, or coffee with friends? Go to bed earlier. Reschedule the coffee time. Determine in your heart that church is higher priority than anything else on a Sunday morning and put it in your phone calendar. Don’t make resolutions you won’t keep because that just doesn’t work. Instead look at what your time and money say about what you prioritise and make a decision to value more highly the things that are really important. Cultivate a love or a passion for the good stuff and then go for it. You hear a lot about so-called hypocritical christians. Many people, including pastors such as me, fall short of what Jesus teaches us about love, holiness and forgiveness. But then you read an article like this and you know this is a man of genuine faith in God. He will have a lot of emotions of grief to walk through but he has made a good start in handling tragedy in God’s way. 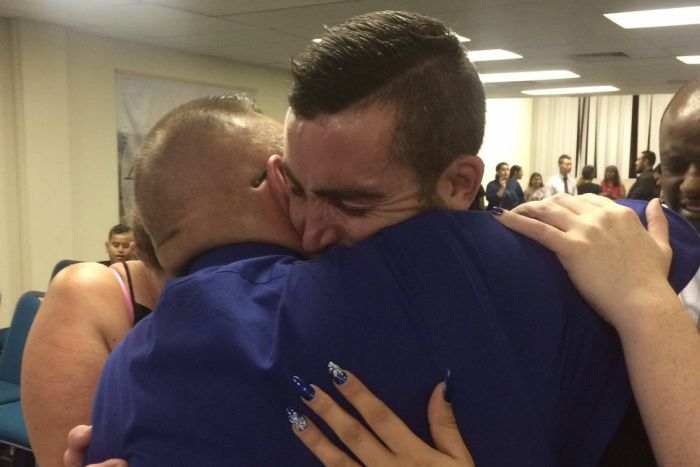 The father of a boy killed after he was hit by a car on Christmas Day has embraced the man charged over his death, and extended him an offer of forgiveness. 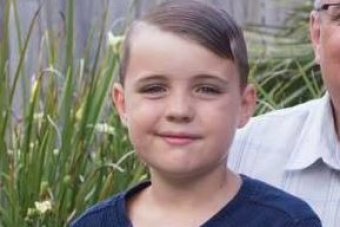 Josiah Sisson, 9, died in hospital on Tuesday from horrific injuries sustained in the crash, which happened on Sunday evening when he was out in Springwood, south of Brisbane, looking at Christmas lights with his friends. Police said the accused driver, Adrian Murray, took a corner too quickly and lost control of his car, hitting Josiah. The out-of-control sedan then crashed into a house, causing substantial damage to the right-hand side of it. 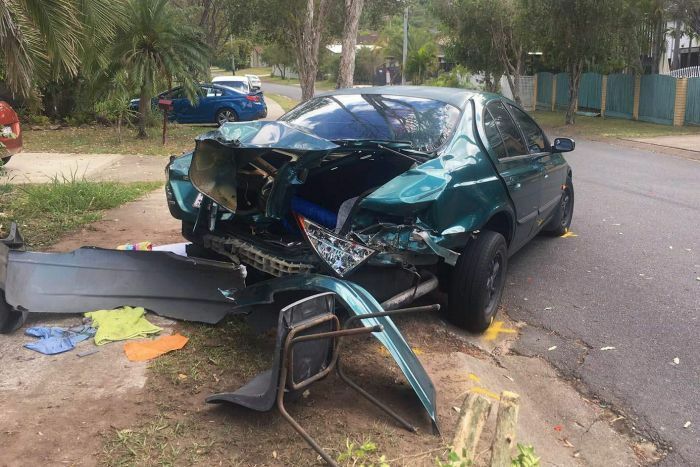 Murray, 24, was charged yesterday with one count each of dangerous operation of a vehicle causing death whilst adversely affected by an intoxicating substance and driving a motor vehicle whilst under the influence. The night before being charged he met with the boy’s parents, pastor Karl Sisson and Donna Sisson, at a prayer service after being invited to attend. 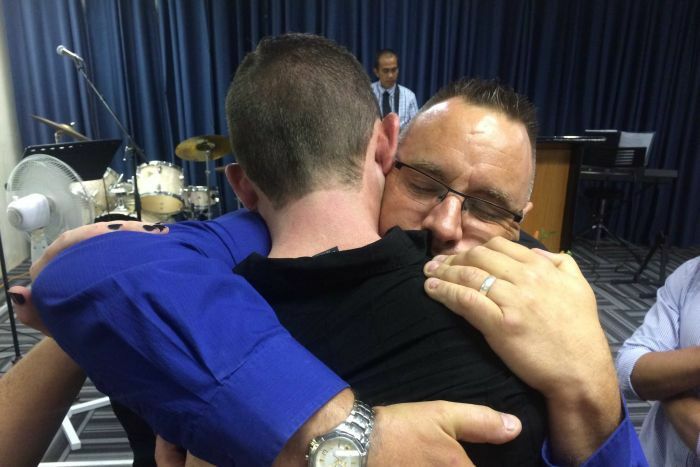 Photos of Pastor Sisson embracing Murray were today released by family friend Peter Field, who is also a pastor. He said they were taken by a church member. “To be honest I found them [the photos] confronting and challenging to me personally,” he said. “The driver saw Pastor Karl Sisson, he turned around and saw him and actually just collapsed into his arms in a complete emotional breakdown. “We all like to talk about philosophical things but when you really are faced with that in reality, I think it is extremely powerful and extremely challenging. Pastor Field said while Josiah’s parents had extended an offer of forgiveness, they were still struggling with their son’s loss. “Rollercoaster would be the correct answer, especially the poor boy’s mother; it’ll be a long time working this through,” he said. Josiah’s funeral will be held next week at the Potter’s House Church in Strathpine on Brisbane’s northside. Murray will appeared in court on February 14. And, having been warned in a dream not to return to Herod, they left for their own country by another road. Some wise men come from the East looking for a child who is to be the King of the Jews. King Herod is very perturbed about this and asks his own “wise men”- the priests and scribes- where the Messiah is to be born. They tell him Bethlehem. Herod sends the wise men to Bethlehem and tells them that when they find the child they are to let him know so he can come and pay homage. The wise men go to Bethlehem where the star leads them to the house where Jesus’ family is staying. They worship the child and offer their gifts of gold, frankincense and myrrh. Then they return home by a different road. These wise men were Magi, wealthy and respected astrologers and soothsayers from Babylon. They were most likely descendants of the wise men of Daniel’s day and may well have been aware of Daniel’s prophecies which indicated the time of the Messiah. Today these people would be the gurus and elites of the New Age movement. It is interesting that the first worshippers of Jesus were the poor deplorable shepherds and the Gentile idolaters. The Magi used their human wisdom and common sense to get them to Bethlehem. They knew from their astrology that a king had been born in Israel. They naturally went to the powerful people at the palace. Then the star led them to the child they were seeking. But, after encountering the Lord, they were warned in a dream from the Lord to go a different way home and not to go back to Herod. An encounter with Jesus will change your course. Common sense, human wisdom and what we know will take a person so far in the christian life. It is only when we meet Christ, have an encounter with the living God, only then are our lives truly changed. Inly then can we go by a different road. The way of religion is to make myself right with God. Say the right prayers, live a good life, go to church. Religion may change what we do but it does not change our hearts. It is when I realise that I cannot make the grade, that I am hopelessly trapped in my sin, only then can I reach out to God and receive His gift of salvation in Christ. Lord Jesus I pray today for my friends and family members who do not know you. Please give them an encounter with you that will change the path they are on. Amen. Because [Jesus] was himself tested by what he suffered, he is able to help those who are being tested. Jesus is not ashamed to call us His sisters and brothers. He regards us as the gift of the Father to Him. If we are children to Christ, sharing flesh and blood, it was necessary for Him to also take on flesh and blood in order to die and defeat satan, the one who has the power of death. He became like us in every way in order to become our High Priest to make an atoning sacrifice on our behalf. He was tested by what He suffered, and is therefore able to help those who are tested. Jesus was in every way human, just like us. We often think of Him sailing serenely through life on His way to the cross. But He suffered all of the same trials, tests and temptations that we face, but remained without sin. Jesus got hungry, thirsty, tired, happy sorrowful, frustrated and angry, but did so without sinning. Jesus was subject to all of the limitations of human flesh in order to be just like us. He did this so that we can relate to Him and know that He knows what it is like to be human. The Greek word translated “tested” also means “tempted.” In the wilderness Jesus was tempted by satan and was victorious. In Gethsemane and on the cross itself, He was tempted to give up and disobey the Father, but He remained firm in His resolve. We think of testing and temptation as negative words, but they in fact are positive. Temptation makes us stronger by driving us into the arms of the Father. We live in a world where tests of faith abound in every direction. Almost every minute we are faced with a choice- to follow our sinful nature or to trust God’s better plan. As we make these daily choices to stay faithful to the Lord, we set in place a habit of thinking in which we prioritise God’s pleasure above our own. Lord Jesus, I thank you that you faced testing and temptation on an even greater level than I do. Just as you remained faithful to the Father’s will, please help me to do the same. Amen. The sermon for Christmas Day is now available on the New Life web-site. It was no messenger or angel but His presence that saved them. Isaiah remembers the praiseworthy acts of the Lord for His people Israel. He loved them and showed them His great favour. The Lord said, “These are my people, my children.” He became their saviour. It wasn’t an angel who saved God’s people; it was the Lord Himself. No messenger or angel can save us. Only God’s presence can do that. We need no other Saviour, no other Redeemer than the Lord. At Christmas, we have just celebrated the coming of the Lord Jesus Christ into the world. Emmanuel, God is with us. This is the greatest miracle the Lord could ever give us. God, our Lord, the Creator of all things entered into His own creation- weak, frail and ready to show the world what a saviour really looks like. Some christians – and even some non-christians- become fascinated by angels. Angels are awesome creatures, but they are not God. God did not send an angel into the world to save us because an angel could not do this. No angel could pay the price for our sin on our behalf. Only God can do that. He didn’t send a preacher or prophet to save us. They are merely human and an only point us to the Saviour. God has saved us. God has redeemed us. God has killed death and sin. Now He makes His dwelling place in the hearts of men and women. Emmanuel- God is with us. God is with me! God’s saving presence is with me! This is the most amazing Good News. Lord, it is true that no angel or messenger could save me from my sin. It was only your presence in the form of Jesus that saved me. Thank you for saving me. Thank you for making me a new creation through Jesus your Son. Amen.